Published on October 12, 2008 in figma. 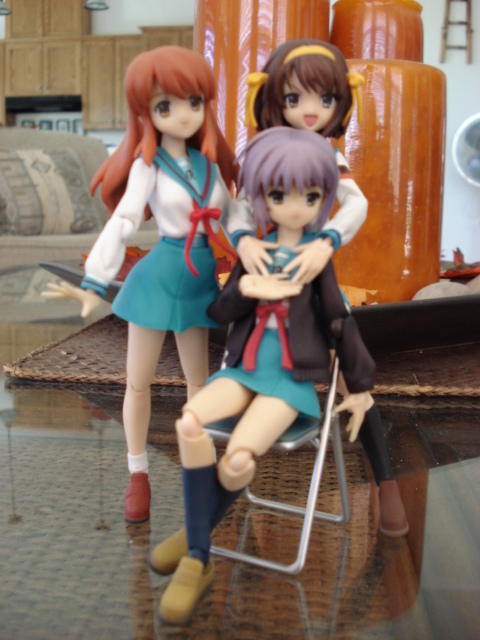 0 Comments Tags: figma, figma:haruhi, figma:mikuru, figma:yuki. You might recognize the ‘location’ from the last post. Some images of the girls of the SOS-dan kicking back with me yesterday during my first photo shoot with them. 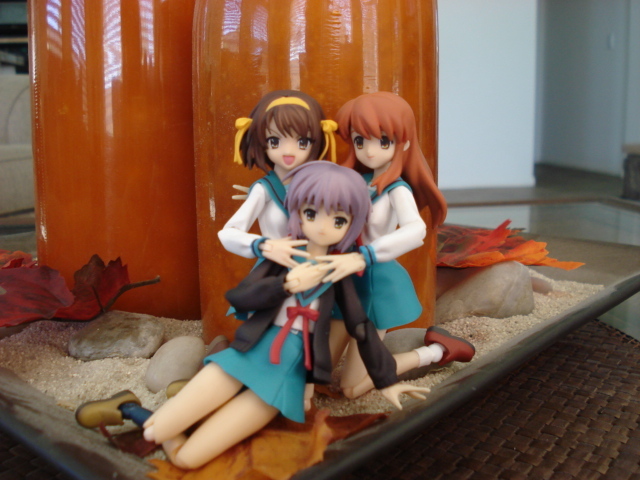 Haruhi embracing Nagato, with Mikuru posing beside her.